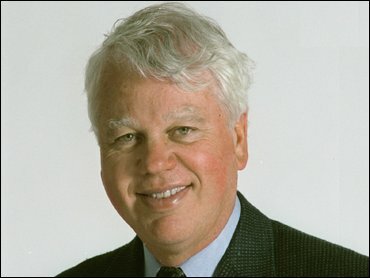 Bob Ryan of the Boston Globe is one of the classic American sports journalists. He is also a bit old school. He came of age before soccer was anything in this country and confesses to know little about the game. But Ryan unlike many of the sports writers of his generation, doesn’t approach soccer was some preconceived ideological disdain. Instead, he pays attention when the game makes him pay attention and respects the sport as it is. In 2002, he penned a magnificent column that essentially called it his fellow writers, such as Tony Kornheiser, who were resistant to embracing the US team in the World Cup merely out of a preconceived disdain for soccer. Ryan said if they couldn’t get into this team and this competition then they simply weren’t sports fans. You gotta love when a non-soccer guy and one of the most respected American sports writers took on the soccer hate directly. A few Sunday’s ago, Ryan was on ESPN’s Sports Reporters and I think captured what the US team accomplished in this tournament. The segment on the World Cup and US’ lost to Ghana led off the show and while the overall conversation was clearly one being had by people that didn’t follow soccer or who knew much of the context, it was refreshing to see mainstream sports reporters attempt to seriously assess the game and the US team. Interestingly enough, the conversation didn’t immediately dissolve into the cliched discussion of whether soccer can make it in America. Nope, instead there was an actual discussion among general American sports writers on television that seriously sought to breakdown a soccer game. No one threw up their hands and expressed ignorance. While that would have been common in the past, it wouldn’t have been good enough this time. America had watched, and these guys had a responsibility as sports experts to breakdown what America watched. That in and of itself is tremendous progress. I can only speak for me, I’d like to think I am speaking for a lot of Americans. But I can only speak for me…I feel sad today because there is a void now. This was fun! These two weeks were fun. It was something to get away from the day to day baseball, basketball…Think about this. This activity going on has more meaning to more people of the 7 billion plus on the planet than any other activity taking place on this planet right now. And we we’re a part of that. And suddenly its been yanked away from us. The question is – is it over for four years, or is there going to be a dialogue now that will ensue, are we a country that is going to start debate the coaches decision – Ricardo Clark shouldn’t played etc… – I remember having this discussion four years and we have progressed to a degree – where more people care, more people are interested, more people are interested… The fact is that people are engaged… We’ve been here before, but not with this notoriety. The US team going down to defeat made America sad. While we as a country are not distraught like the English, we are sad. The fact that this team could make “America” sad at its departure is something few of us would have ever thought coming in. And what these means more broadly is that the US team made America care – you don’t get sad, if you don’t care – and that matters.